*Please click the buttons above for more information. 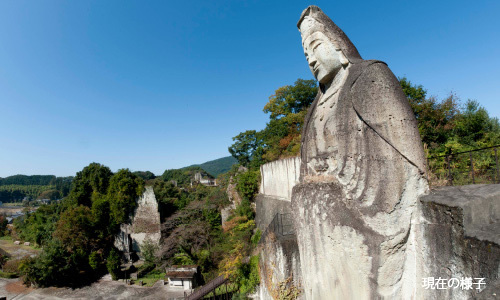 Senju Kannon, which is 4 meters high is the principal statue of Ooyaji Temple. 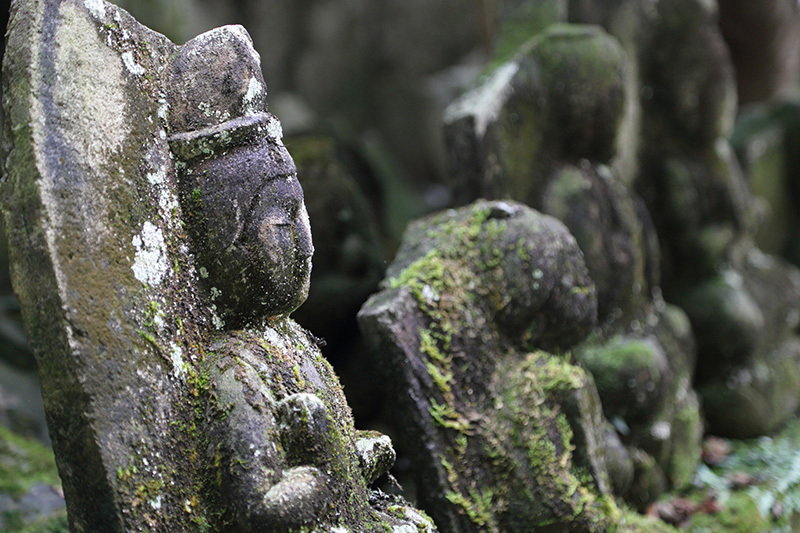 It is said to have been made by Kobo Daishi in the Heian period (year 810). 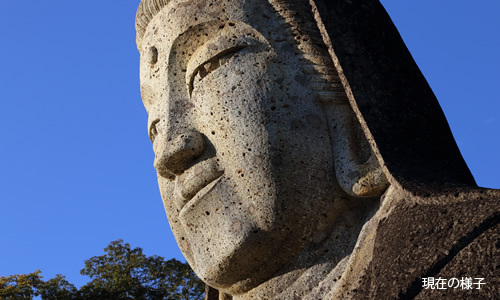 Known as Ooya Kannon since ancient times, it became the 19th sacred place of the Bando Pilgrimage in the Kamakura period and has been worshiped by many people. 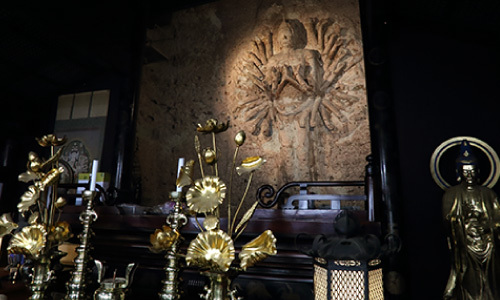 The surface, carved directly into the rock, was coated with vermilion, finely beautified with clay, lacquered, and covered with gold leaf. It used to shine gold. 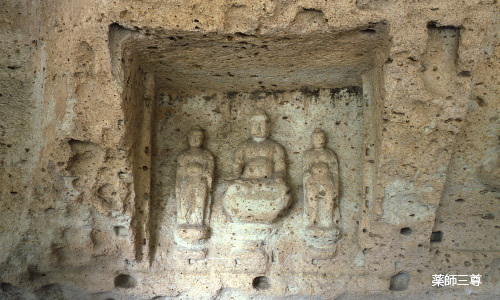 A recent study revealed similarities between Ooya Kannon and the Buddhas of Bamiyan. 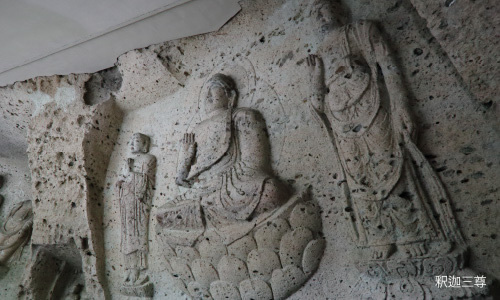 It is believed to be Japan’s Silk Road heritage carved by Afghan monks. 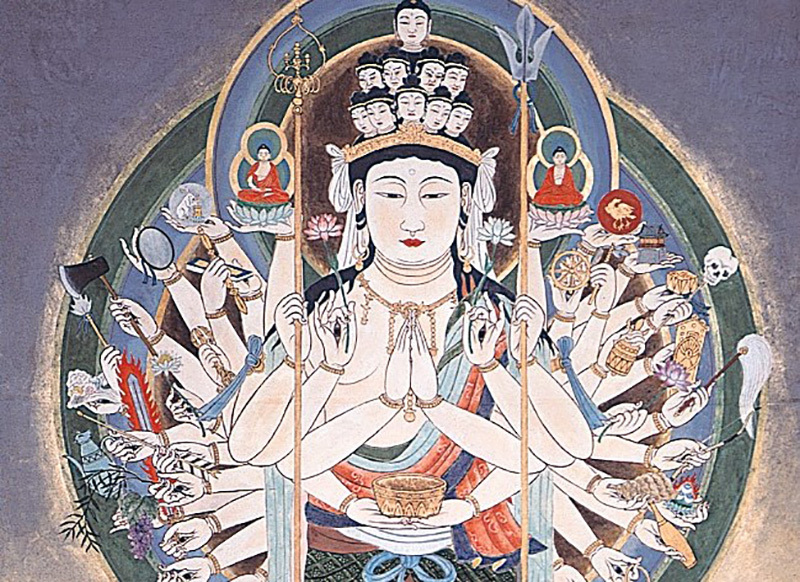 Senju Kannon has a thousand arms and a thousand eyes. 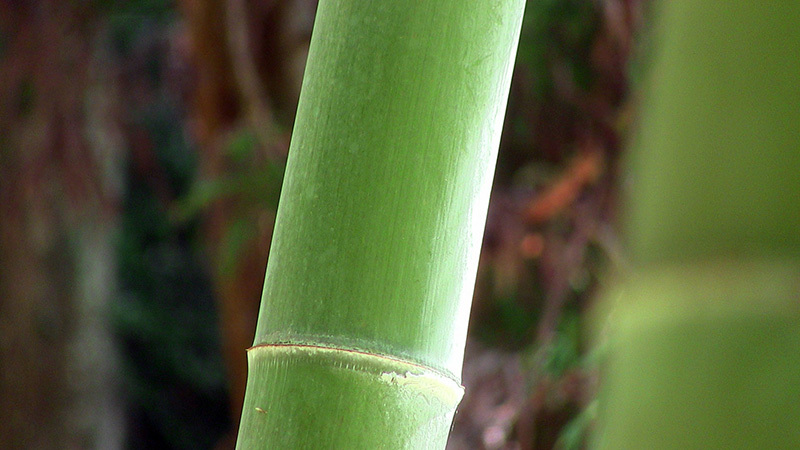 It has an eye on each palm and always watches over us. 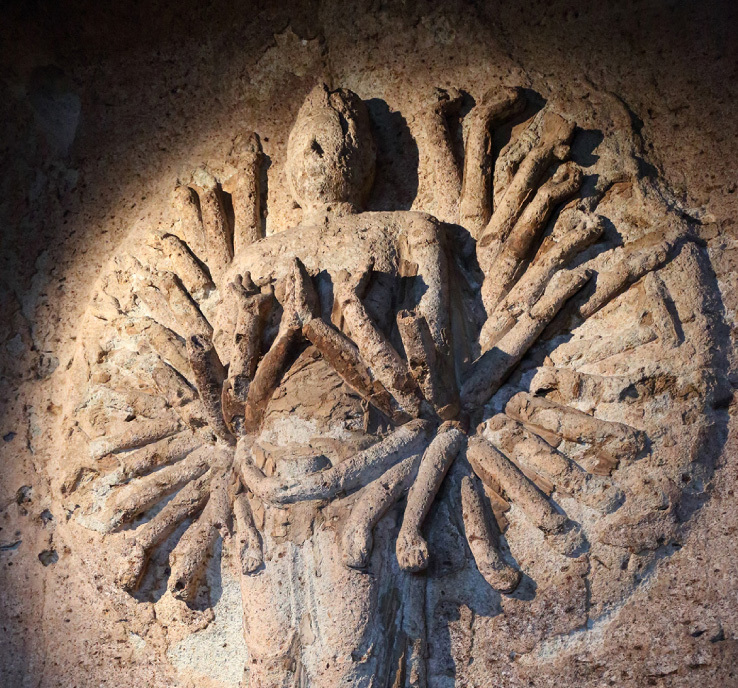 With its numerous arms, the blessed Kannon saves all people and creatures in the universe. 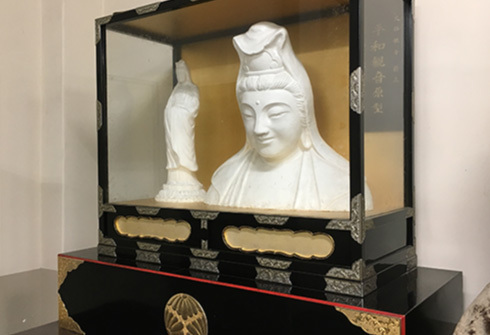 When you visit, please join your hands in prayer for world peace and happiness for people while reflecting on Kannon’s great heart. 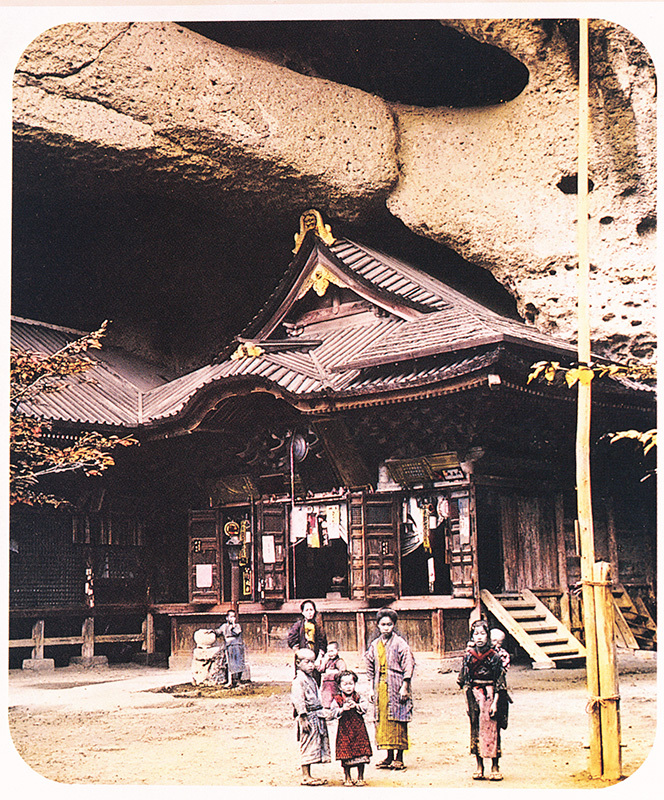 In ancient times, rocks of different size used to exist like a folding screen in the area around the temple. 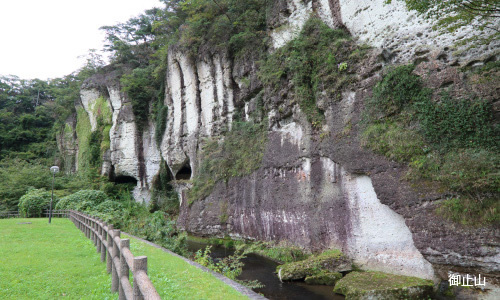 Flat land spread wide in the center and was called Oya, or “large valley.” The water flowed from beneath the rocks to form a river that looked like a naturally made castle. A poisonous snake that poisoned the water used to live there. 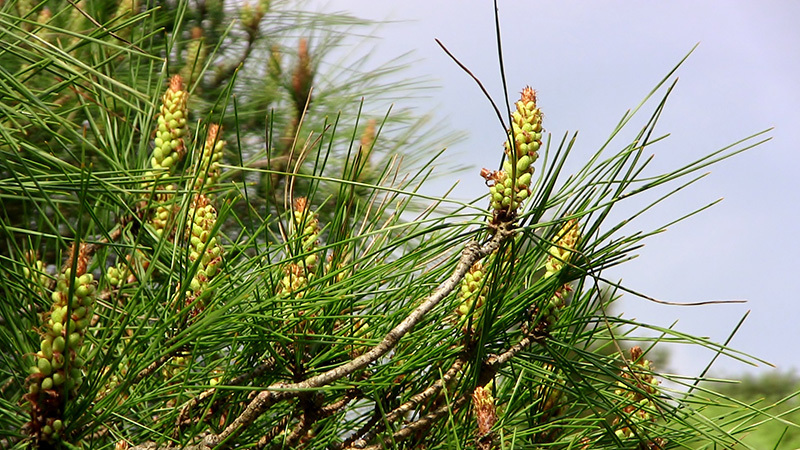 The poison killed any birds, animals, insects, or fish that touched it. 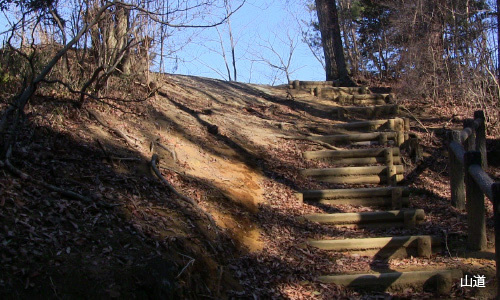 People thus called the area the “hell valley”. 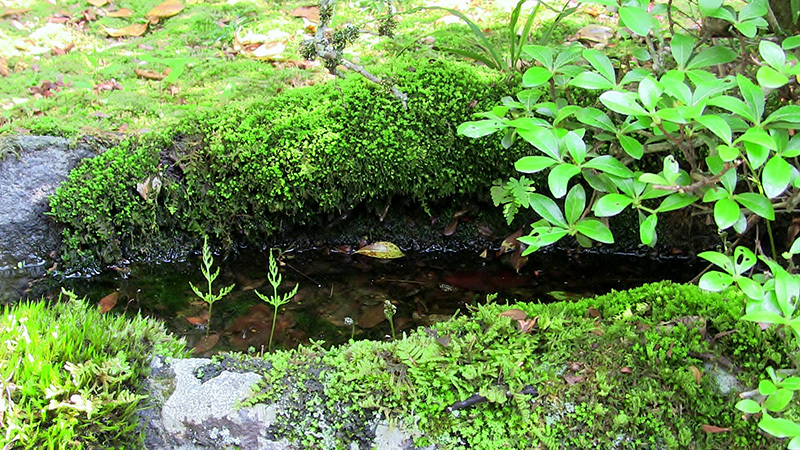 This poisonous water also made people sick and killed anyone who touched it. 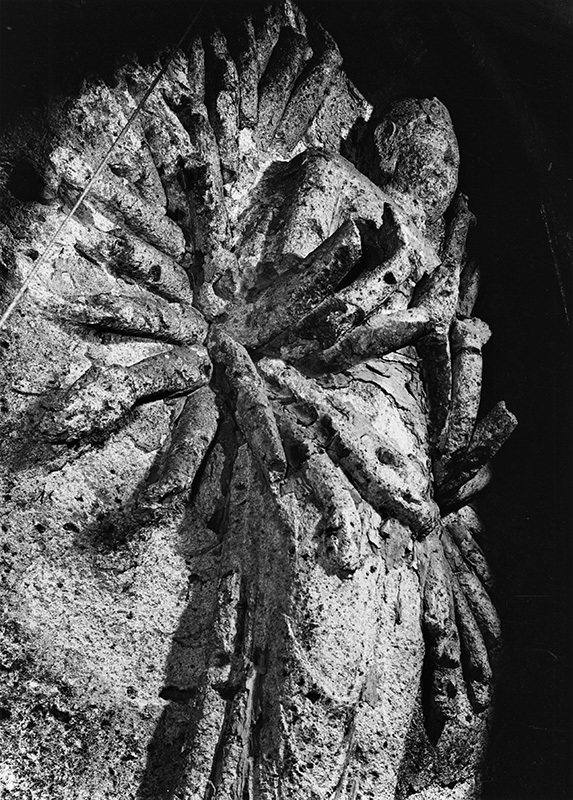 It damaged grains and plants, and people suffered. They were about to abandon this land. 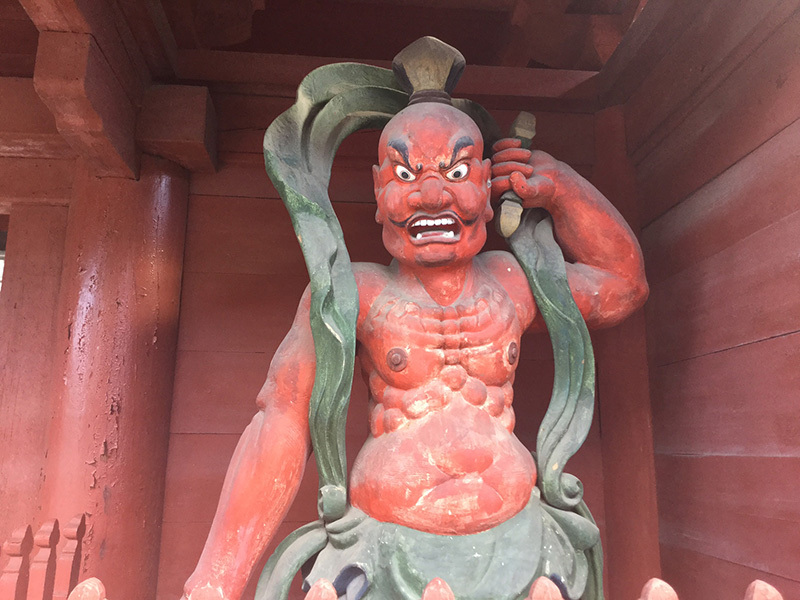 Then in the Daido or Konin period (year 810), Kobo Daishi heard this story during his trip to East Japan and went into the valley of the poisonous snake to eliminate the locals’ suffering. People were delighted. 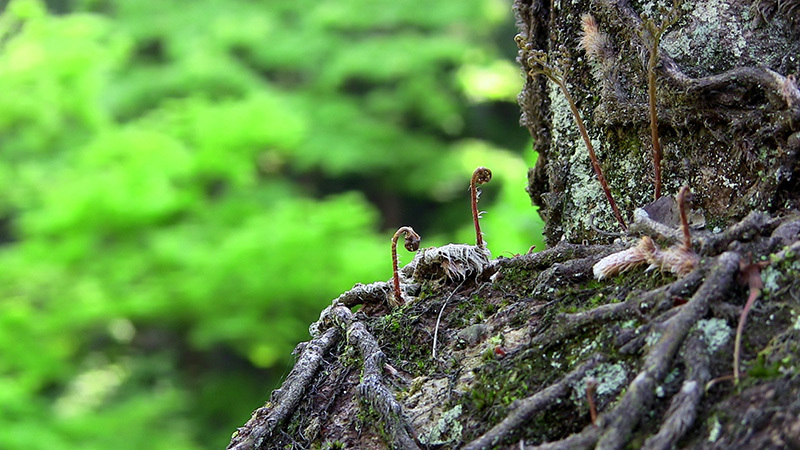 After ten days or so, Kobo Daishi came out from the valley. 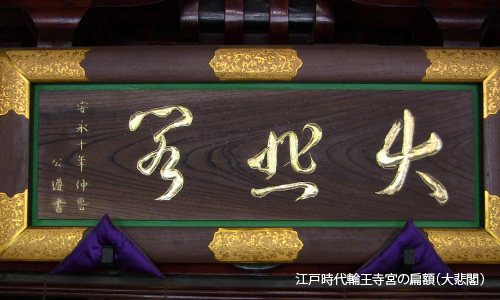 He told people that he had conquered the poisonous snake, and left. 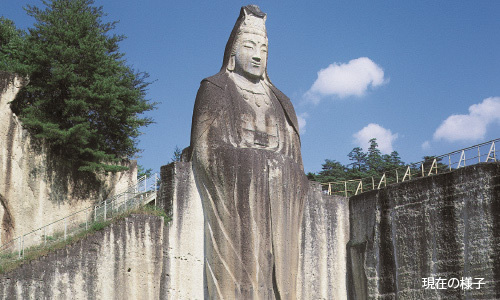 People went inside the valley and saw a shining Senju Kannon statue carved on a high, rocky mountain. 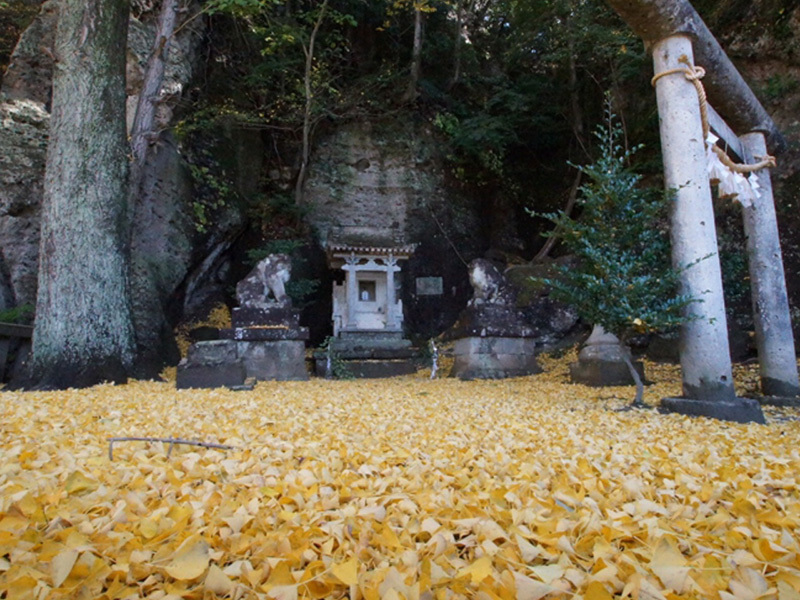 Kannon’s light turned the whole area into the color of gold. 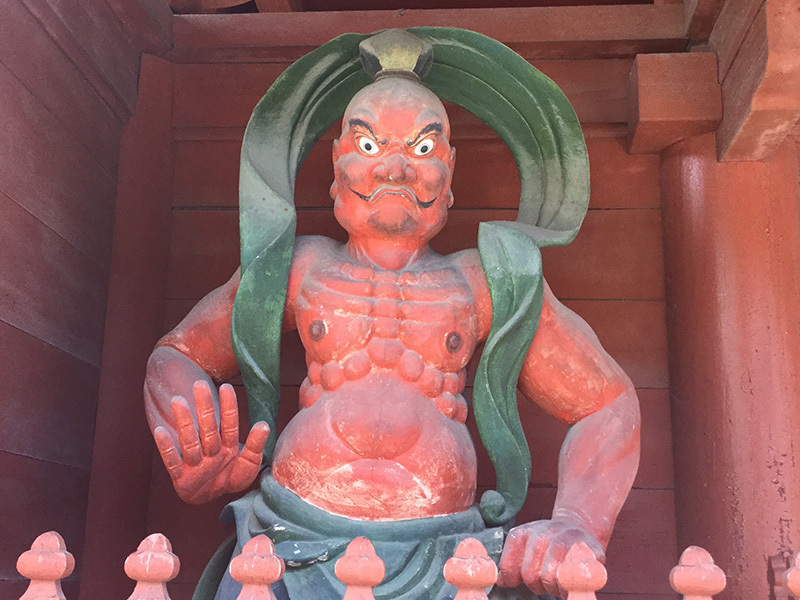 People thanked Kobo Daishi for his mysterious power, and many converted to Buddhism to admire his great work and worship Kanzenon. 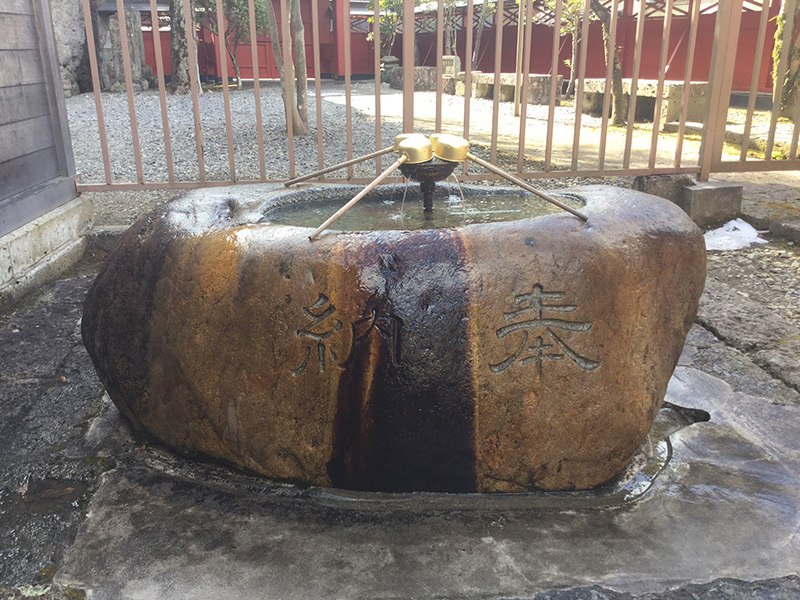 This was the beginning of Ooyaji Temple. 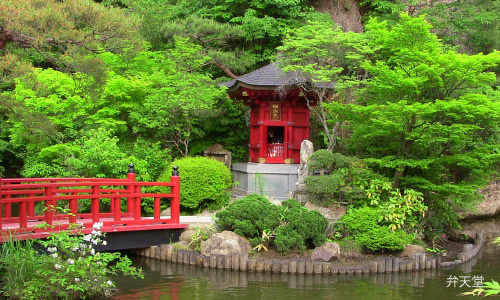 Today, Benzaiten is enshrined in the center of the pond. 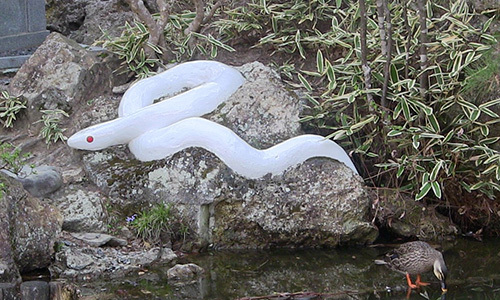 The poisonous snake became a white snake with a new mind and serves it. Please pat it on the head after visiting the temple. 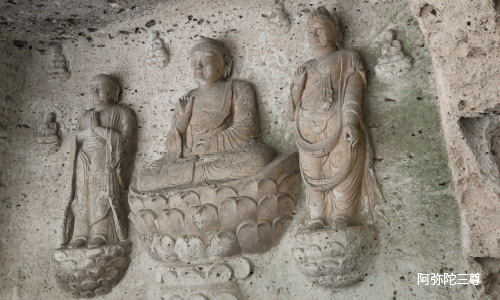 10 stone Buddha statues−the principal Senju Kannon, three Buddhas of Shaka, three Buddhas of Yakushi, and three Buddhas of Amida−were nationally designated as a Special Historic Site in March 1954 and as Important Cultural Properties in June 1961 for their outstanding craftsmanship among Japan’s stone statues. 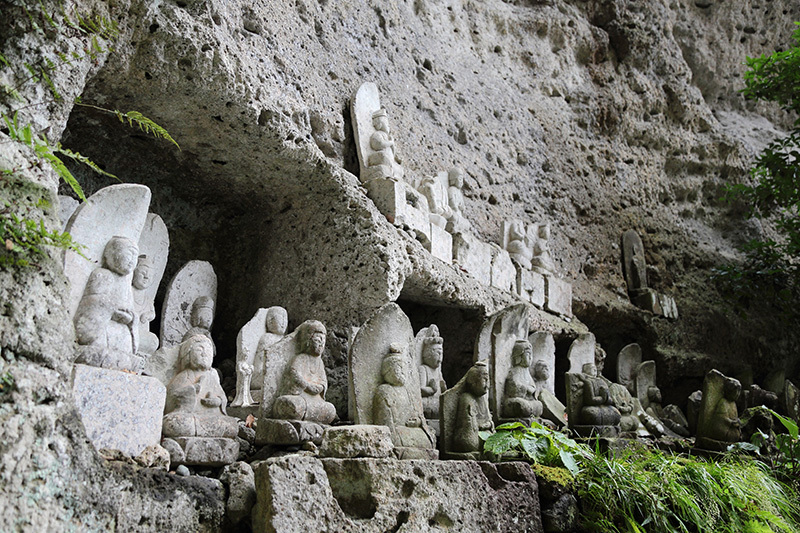 These artistic, precious stone Buddha statues are known as the Cliff-carved Buddhas of the East, in contrast with Usuki Stone Buddhas of the West (Oita Prefecture). Mt. 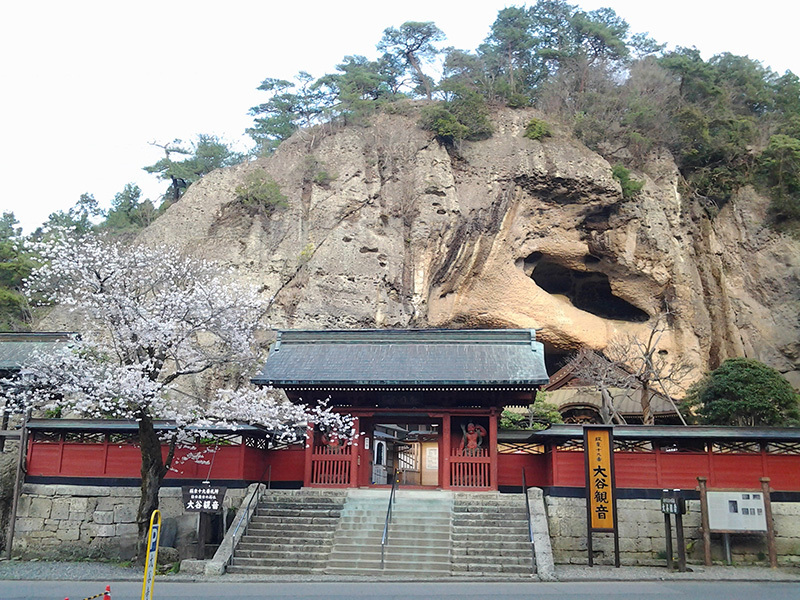 Otome of Ooyaji Temple has a scenic view of natural, strangely shaped rocks and red pine trees. 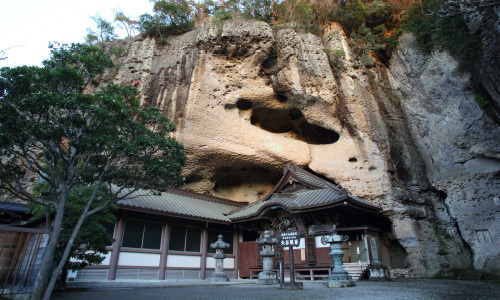 It is referred to as “Matsushima on land” and was nationally designated as a Place of Scenic Beauty (July 2006). 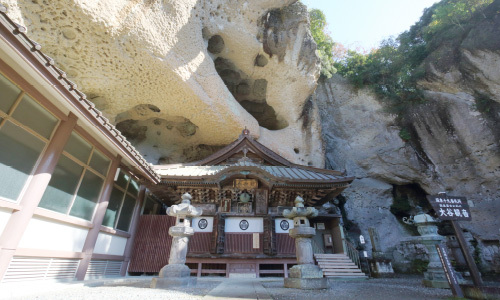 It is the second Place of Scenic Beauty to be recognized in Tochigi Prefecture, after Kegon Falls in Nikko. 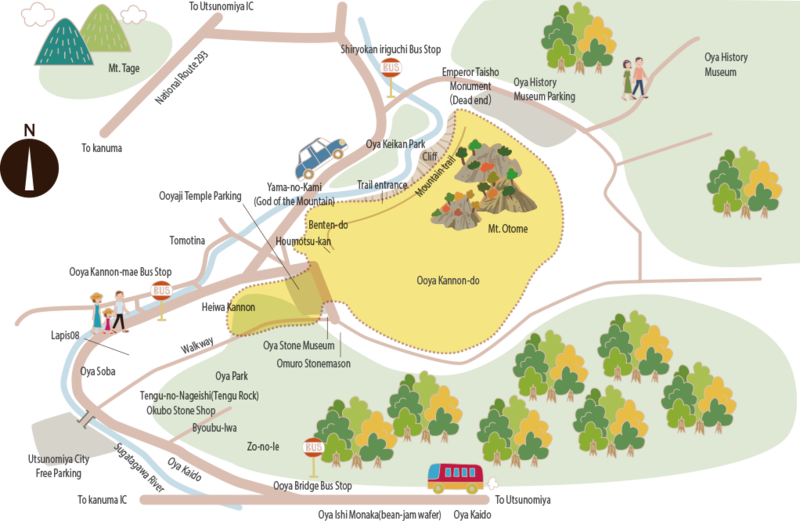 Oya stones are sedimentary rocks of volcanic ashes called green tuff. The name of Mt. 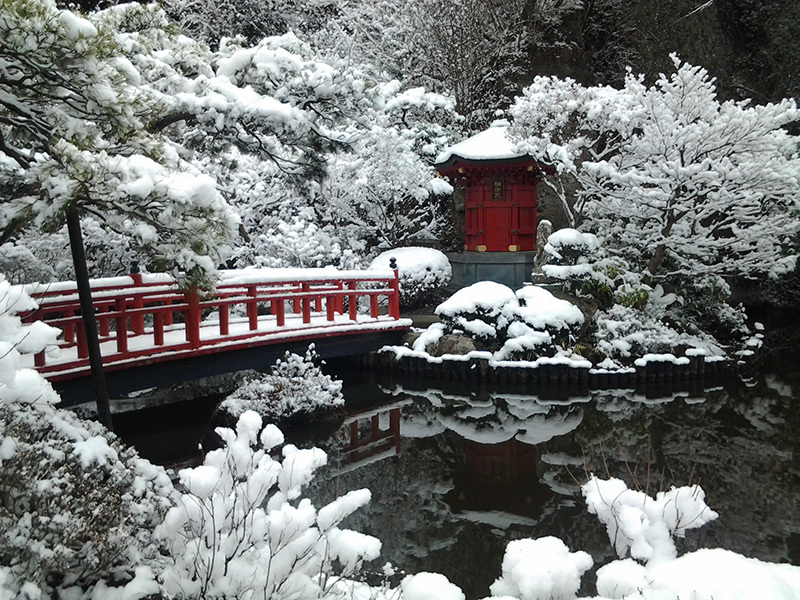 Otome originates in the Edo period when imperial families of Nikko Rinnoji Temple used to come to the mountain to pick Matsutake mushrooms every autumn. 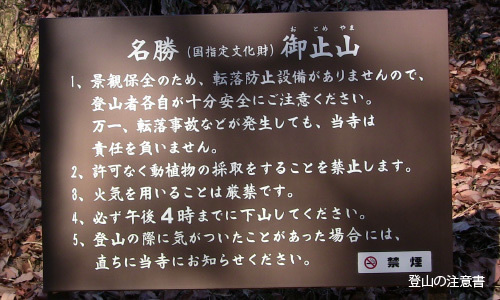 Regular people were therefore prohibited from entering the mountain, and the mountain came to be called “Otome” (which means “stop” in Japanese). 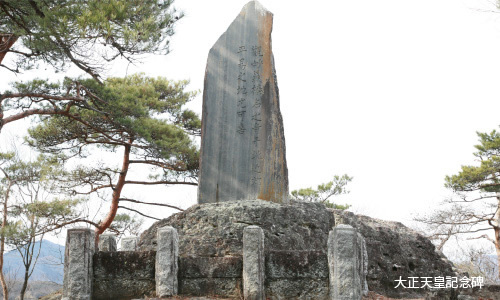 Emperor Taisho occasionally came to visit the mountain and planted a pine tree on the mountain top. 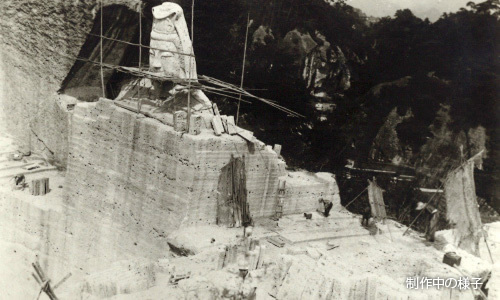 A monument is built there today. You are free to climb Mt. Otome. 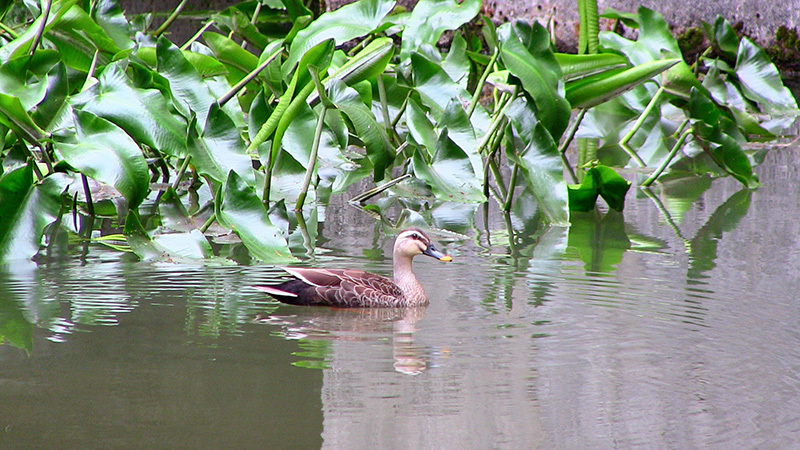 However, in order to preserve the natural scenery, there are no safety fences. Some places are also slippery. Please wear sports shoes, read the instructions, and climb carefully. Please note that the mountain top is a dead end and you cannot climb down to the other side. 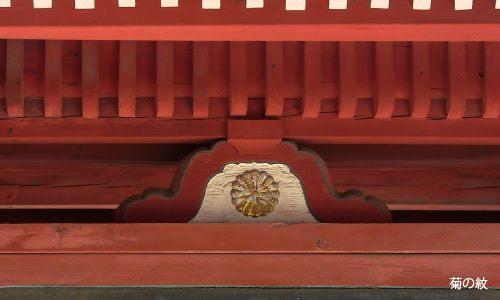 In the early Edo period, Kamehime, the eldest daughter of Ieyasu Tokugawa, restored Ooyaji Temple as a stopping point between Edo and Nikko, where her father was enshrined. 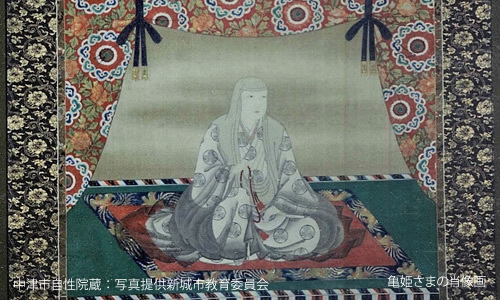 She supported the revival effort of the chief priest Denkai Sojo (a disciple of Tenkai Daisojo). 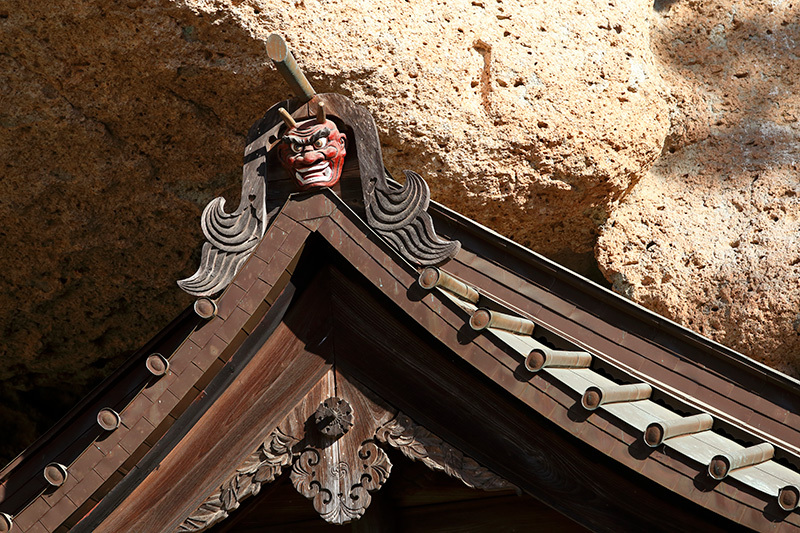 The temple had been used as a resting place and lodging for imperial families of Nikko Rinnoji Temple. 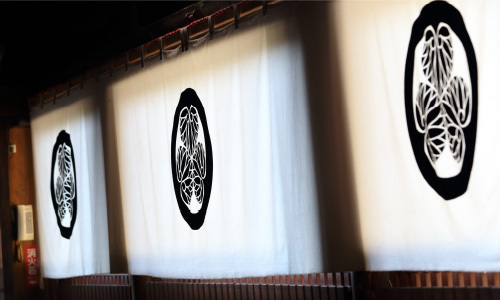 Its crests are chrysanthemum and hollyhock. 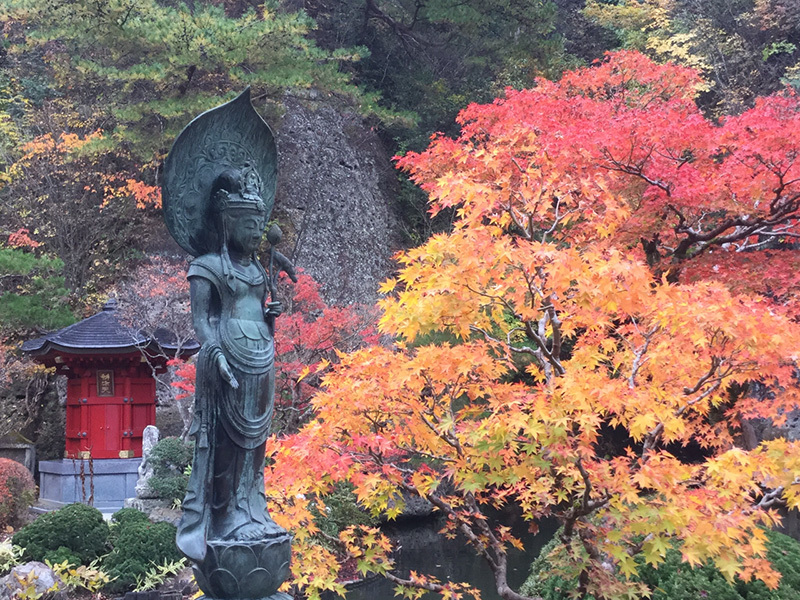 The temple lost this protection in the Meiji period and declined temporarily, but it attracts many tourists and pilgrims today. 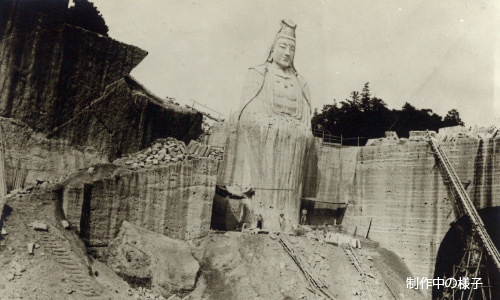 This 27 m-high Kannon statue was carved in commemoration of the war dead of the Second World War and to pray for world peace. 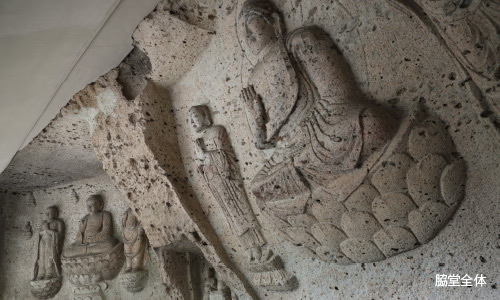 It was designed by Professor Asajiro Hida of Tokyo University of the Arts and carved by Oya stonemasons starting in 1948, with enthusiastic support from the Oya Tourism Association and the locals. 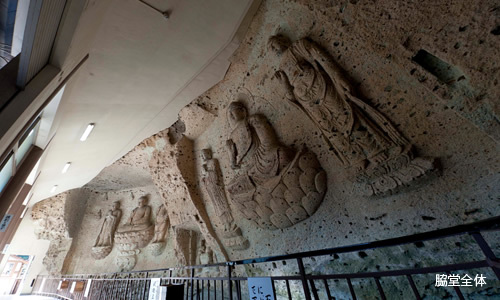 It was completed in 1954 after six years. 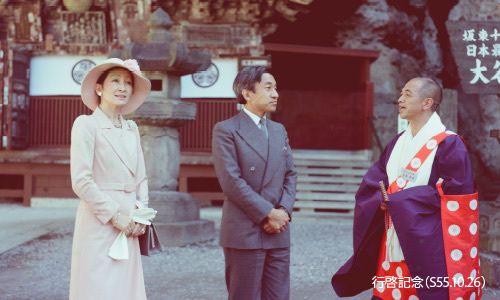 In 1956, the consecration ceremony was held by the chief priest, Sugawara Daisojo, of Nikko Rinnoji Temple. 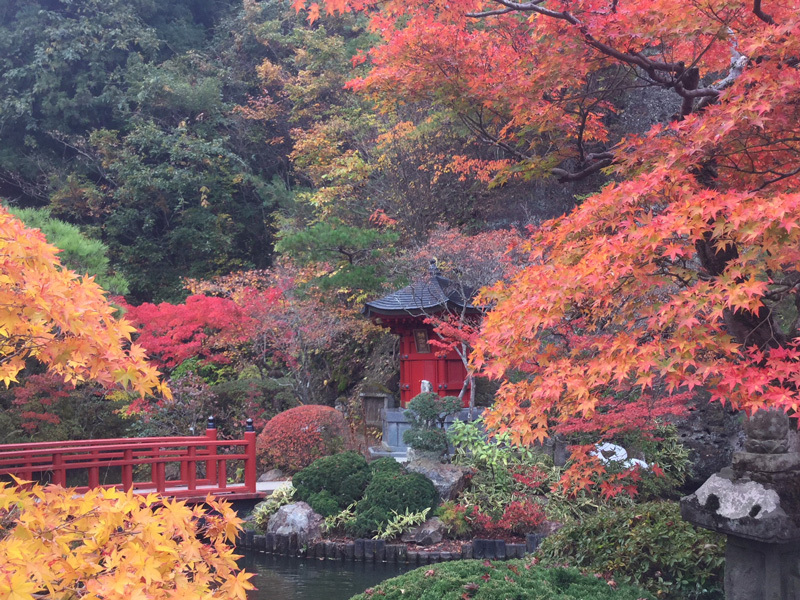 The area around it is now a municipal park of Utsunomiya City, and many people visit it to pray and relax. 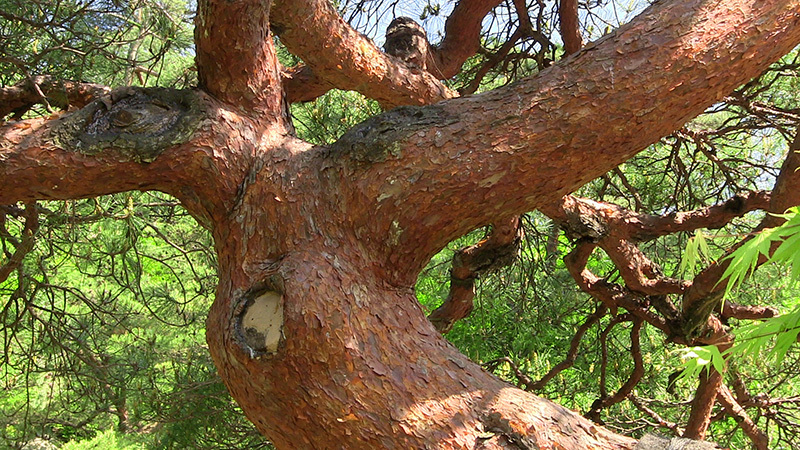 *Please click on pins or illustrations to see photos. 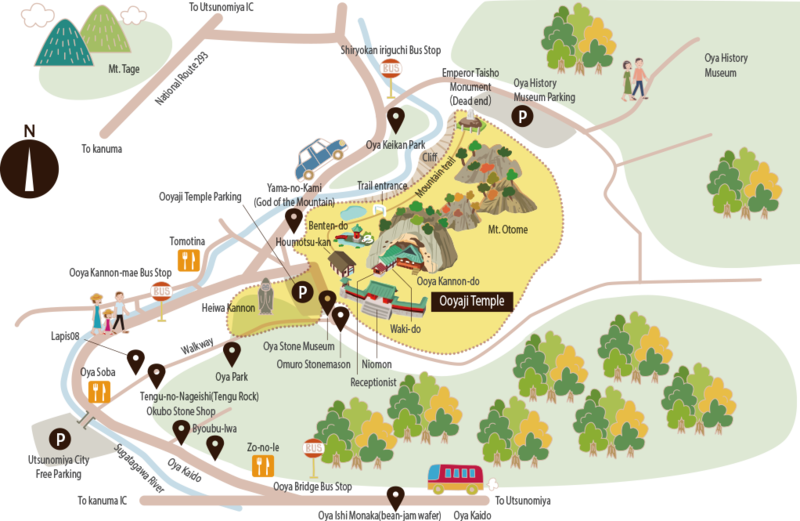 *Visitors to the temple may park for free. 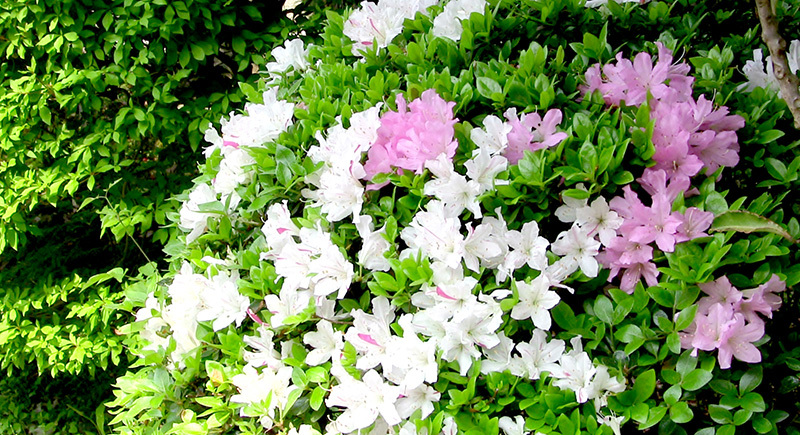 Utsunomiya City Free Parking (100 cars, 10 buses) is also available. Please use a fax for group reservations if possible. *Please inform us of the date of the visit, the number of people, and the representative’s name and mobile phone number. 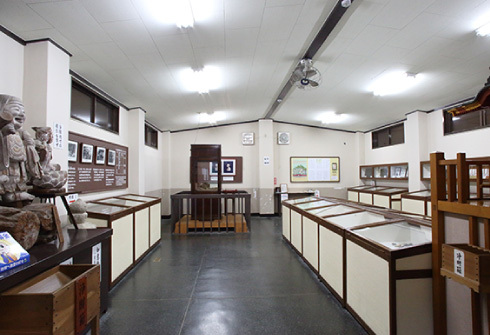 Photos are permitted in the precincts but not inside the buildings. Annual schedule (closings, events, etc.) will be posted here. 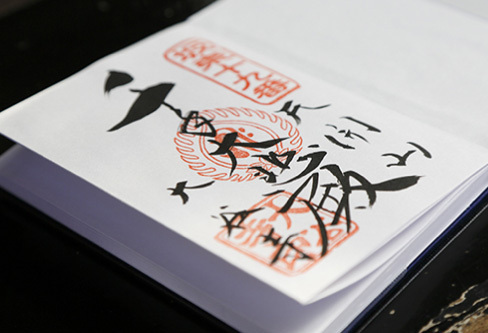 Goshuin is a stamp given to visitors (300yen) as proof of their visit to the shrine or temple. 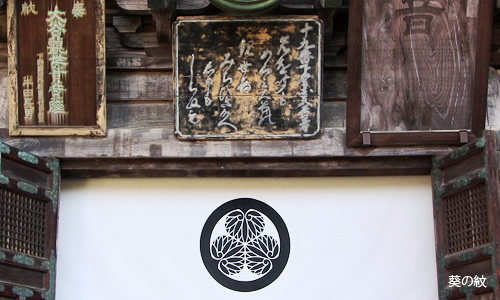 It is a treasure mark of Kannon, so please store it carefully. 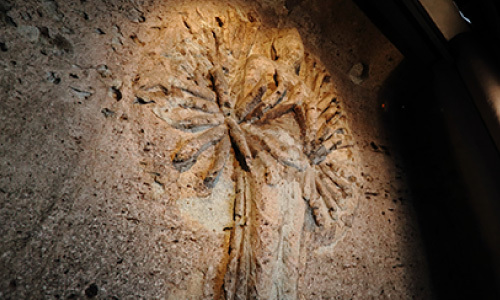 Please join your hands together in prayer when visiting the temple. 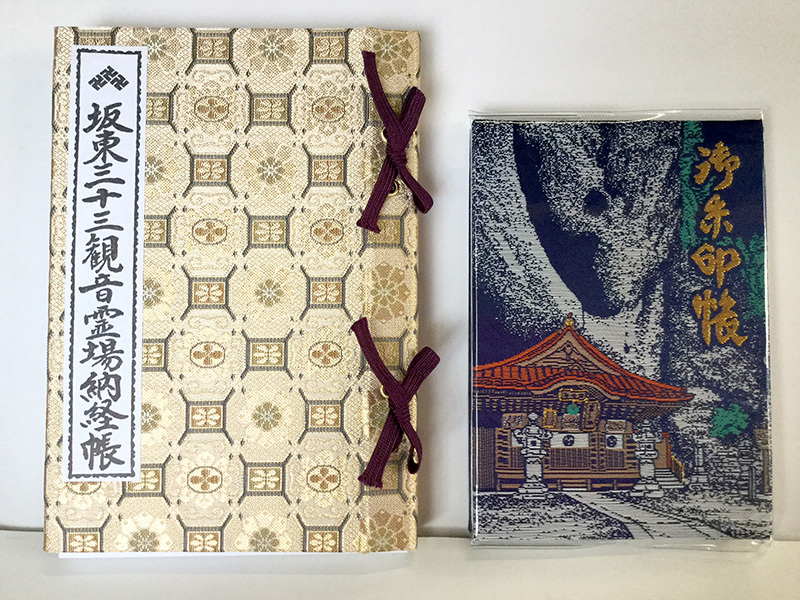 Our original style good luck charms are made of Nishijin brocade and are all blessed by the priest. 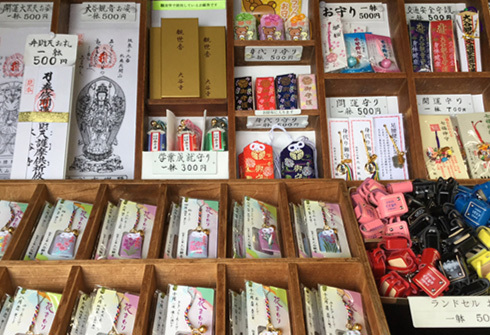 There are many kinds of charms. 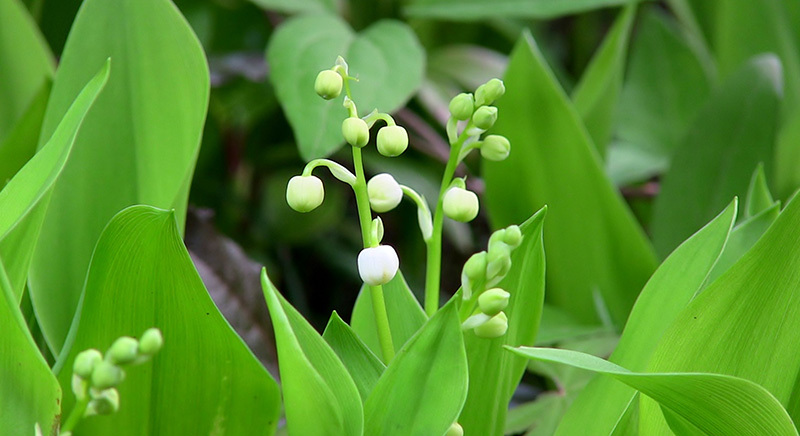 For example there are charms for good health, successful business, success on tests, healthy baby, etc. 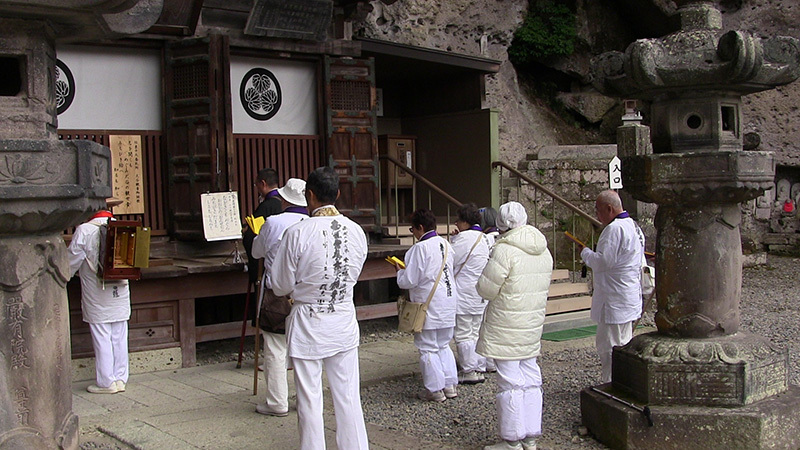 You can request prayers for the New Year as well as various other occasions. *Please do not call outside business hours. 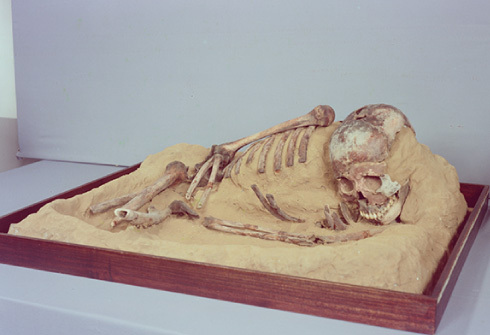 This skeleton was unearthed from beneath the temple building during disaster prevention work that took place in April 1965. 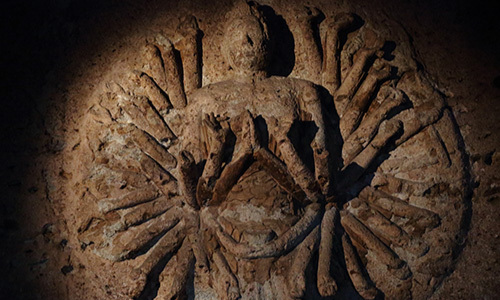 It is believed to have belonged to a man around 20 years of age and 1.54 m tall. He was buried in the fetal position, as if in the womb. 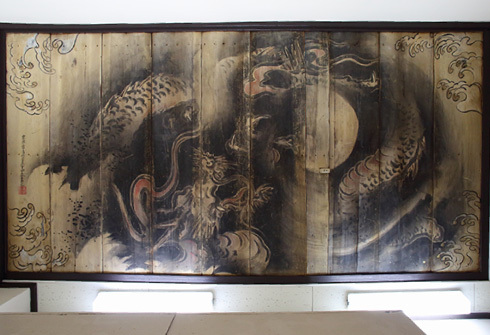 This painted ceiling used to be in the old temple building during the Edo period. 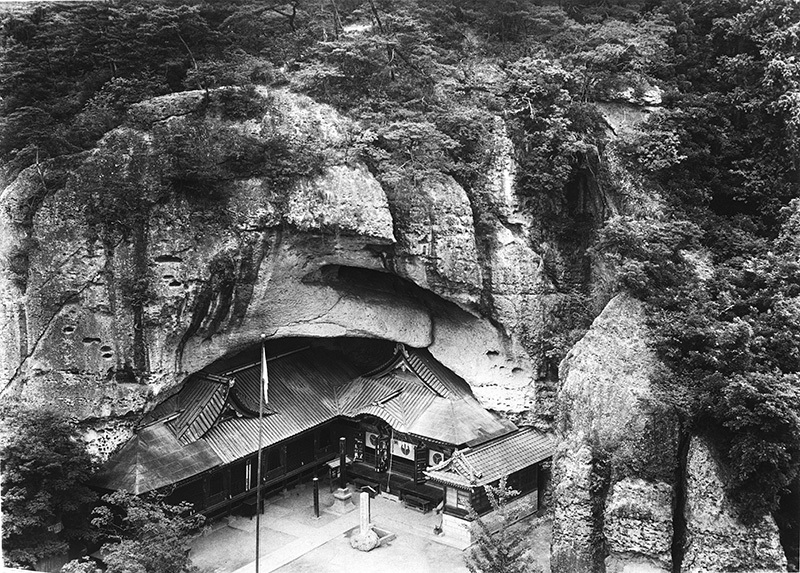 People used to live in natural rock shelters in the Jomon period. 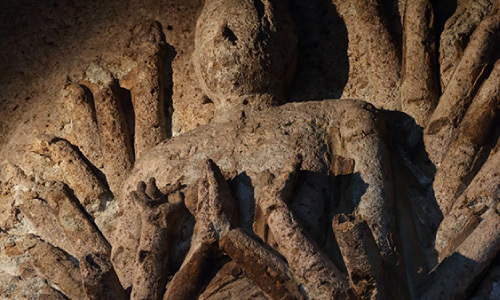 This Museum displays earthenware and stone tools unearthed from beneath the temple. 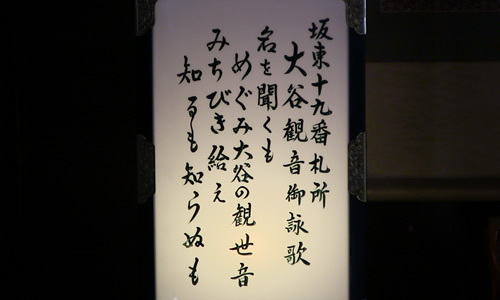 Created by Professor Asajiro Hida of Tokyo University of the Arts. 30 min. from JR Utsunomiya Station, West Gate. Take a Kanto Bus bound for Ooya Tateiwa (line 6). 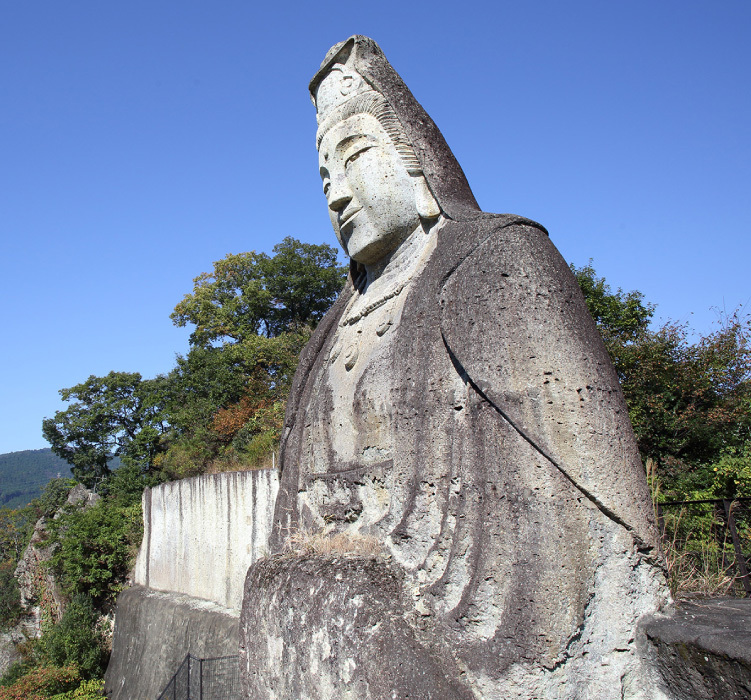 It's a 3-minute walk from Ooya Kannon-mae bus stop. Tochinavi! 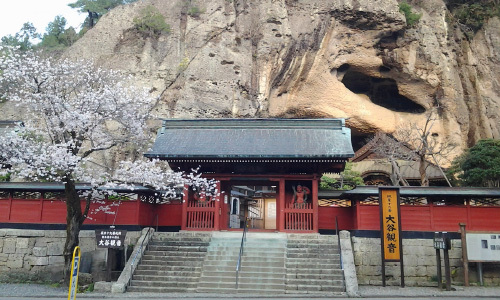 Check reviews of Ooyaji Temple here. Copyright Ooyaji. All Rights Reserved.